Roberto Abbado, awarded the prestigious “Premio Abbiati” by the Italian Music Critics Association for his “accomplished interpretative maturity, the extent and the peculiarity of a repertoire where he has offered remarkable results through an intense season”, is Musical Director of the Palau de les Arts Reina Sofía in Valencia and of Parma’s Festival Verdi. He studied orchestra conducting under Franco Ferrara at the Teatro La Fenice in Venice and at the Accademia Nazionale di Santa Cecilia in Rome, where he was invited – the only student in the history of the Academy – to lead the Orchestra di Santa Cecilia. He made his debut in the United States in 1991 in New York conducting the St. Luke’s Orchestra. Since then he has returned regularly to the US to lead the Symphonic Orchestras of the cities of Boston, Philadelphia, Chicago, Cleveland, San Francisco, as well as the Los Angeles Philharmonic, the Saint Paul Chamber Orchestra – of which he is one of the “Artistic Partners” – working with soloists like Yo-Yo Ma, Midori, Nigel Kennedy, Gil Shaham, Joshua Bell, Hilary Hahn, Vadim Repin, Sarah Chang, Yefim Bronfman, Mitsuko Uchida, Alfred Brendel, Radu Lupu, André Watts, Andras Schiff, Lang-Lang, and Katia and Marielle Labèque. He was Musical Director of the Münchner Rundfunkorchester from 1991 to 1998, completing seven album recordings with the orchestra. He has worked with many ensembles, including Amsterdam’s Concertgebouworkest, the Wiener Symphoniker, the Orchestre national de France, the Orchestre de Paris, the Staatskapelle Dresden, the Gewandhausorchester (Leipzig), the NDR Sinfonieorchester (Hamburg), the Sveriges Radios Symfoniorkester (Stockholm), the Israel Philharmonic Orchestra, the Orchestra di Santa Cecilia, the Orchestra del Maggio Musicale Fiorentino, the Orchestra Sinfonica Nazionale della Rai, the Filarmonica della Scala, the Orchestra of Teatro Comunale di Bologna, the Atlanta Symphony Orchestra, the Cincinnati Symphony Orchestra, the New World Symphony Orchestra, the Minnesota Orchestra, the Malaysian Philharmonic Orchestra and the Taipei Symphony Orchestra. 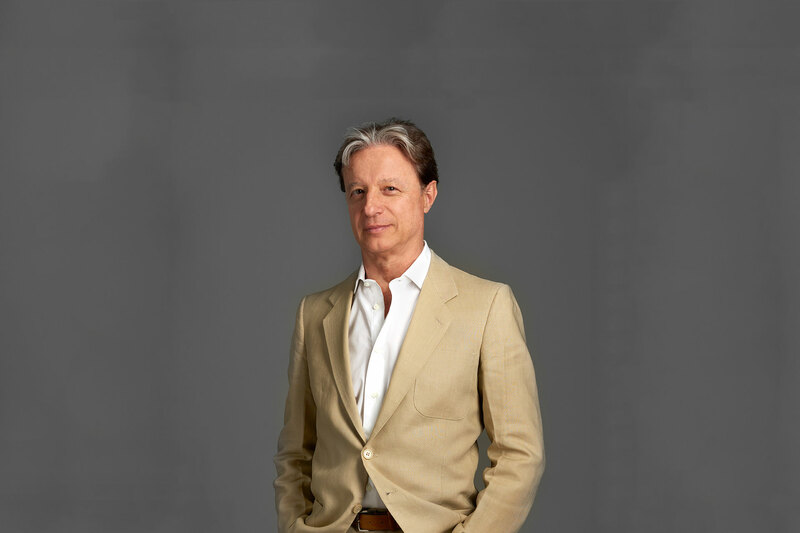 Roberto Abbado has conducted numerous world premieres and new opera productions, including Fedora and Ernani at the Metropolitan Opera House in New York; I vespri sicilianiat the Wiener Staatsoper; La Gioconda, Lucia di Lammermoor, La donna del lago, and the world premiere of Fabio Vacchi’s Teneke at La Scala; L’amour des trois oranges, Aida, and La traviata at the Bayerische Staatsoper; Le Comte Ory, Attila, I Lombardi alla prima crociata, Il barbiere di Siviglia, Henze’s Phaedra– at its Italian premiere – and Anna Bolena at the Maggio Musicale Fiorentino; Don Giovanni at the Deutsche Oper Berlin; Simon Boccanegra, and La clemenza di Tito at the Teatro Regio of Turin; La donna del lago at the Opéra Garnier in Paris; Ermione, Zelmira, and Mosè in Egitto at the Rossini Opera Festival; the Italian premiere of Marschner’s Der Vampyr at the Teatro Comunale in Bologna. A passionate interpreter of contemporary music, Abbado’s repertoire includes composers like Luciano Berio, Bruno Maderna, Goffredo Petrassi, Sylvano Bussotti, Niccolò Castiglioni, Azio Corghi, Ivan Fedele, Luca Francesconi, Giorgio Battistelli, Michele dall’Ongaro, Giacomo Manzoni, Salvatore Sciarrino, Fabio Vacchi, Pascal Dusapin, Henri Dutilleux, Olivier Messiaen, Alfred Schnittke, Hans Werner Henze, Helmut Lachenmann, John Adams, Ned Rorem, Christopher Rouse, Steven Stucky, and Charles Wuorinen. His recordings include Bellini’s I Capuleti e i Montecchi (nominated “Best Recording of the Year” by the BBC Magazine in 1999), Rossini’s Tancre di (winner of the “Echo Klassik Deutsche Schallplattenpreis” in 1997), Don Pasquale with Eva Mei and Renato Bruson, Turandot with Eva Marton, Ben Heppner, and Margaret Price. Under Decca he has recorded Verismo Arias with Mirella Freni, L’amour and Arias for Rubini with Juan Diego Flórez. With Deutsche Grammophon he has issued Bel Canto (“Echo Klassik Deutscher Schallplattenpreis” 2009), Revive – bothwith Elina Garanča – and a DVD of Fedora with Mirella Freni and Placido Domingo from New York’s Met. Roberto Abbado was the first Italian conductor to lead the traditional New Year’s Concert at La Fenice in Venice on 1 January 2008 (Hardy Classic Video DVD). Three DVDs from the Rossini Opera Festival in Pesaro have also been issued: Ermione,under the label Dynamic; Zelmira with Juan Diego Flórez, Kate Aldrich and Gregory Kunde under Decca; Mosè in Egitto with Sonia Ganassi, Dmitry Korchak, Riccardo Zanellato and Alex Esposito under Opus Arte. Particularly significant are his symphonic tours with the Israel Philharmonic Orchestra (Spain 2005), the Chamber Orchestra of Europe (Europe 2006), the Saint Paul Chamber Orchestra (Europe 2007), the Maggio Musicale Fiorentino (Bucarest Enescu Festival 2009), the Orchestra Verdi di Milano (Switzerland 2009), the Orchestre Philharmonique de Monte-Carlo (Russia 2011), and the Boston Symphony Orchestra (USA, East Coast 2011). During recent seasons he has conducted La Favorite at the Salzburg Festival (starring Juan Diego Flórez and Elīna Garanča), La Gioconda, Maometto II and Lucia di Lammermoor at the Teatro dell’Opera di Roma; he has opened two seasons of the Teatro Comunale di Bologna conducting Macbeth (staged by Bob Wilson) and Parsifal (staged by Romeo Castellucci); Così fan tutte at the Teatro Petruzzelli in Bari, La traviata (staged by Ferzan Özpetek) on a tour to Hong Kong with the Teatro di San Carlo of Naples, Don Pasquale and Samson et Dalila at the Palau de les Arts in Valencia, Norma at the Teatro Regio in Turin, Rigoletto at New York’s Metropolitan and Simon Boccanegra on a tour to Hong Kong with Turin’s Teatro Regio. More recently he was on the podium of the Opera di Roma with Benvenuto Cellini, Andrea Chénier, I masnadieri and La damnation de Faust of the Palau de les Arts in Valencia with A Midsummer Night’s Dream, I vespri siciliani, Tancredi and La damnation de Faust, of the Teatro Real in Madrid with Norma, of the Shanghai Opera House with La Traviata, of the Rossini Opera Festival with Le siège de Corinthe, of the Festival Verdi in Parma with Le Trouvère, of the Théâtre des Champs Elysées in Paris and the Met in New York with Lucia di Lammermoor. In November 2017 he has made his debut at Ópera de Bilbao conducting Donizetti’s Don Pasquale. From 2015 Abbado has led the orchestras of San Francisco, Dallas, Atlanta and Minnesota, the New World Symphony, the MDR-Sinfonieorchester of Leipzig, the Saint Paul Chamber Orchestra, the Malaysian Philharmonic and the Orquesta Sinfónica de Madrid.